Beah’s book is a memoir, but it appears that discrepancies have been found and that’s always a problem for some when good sales are involved. First, we have the issue of how much did a 12-16 year old know about what was going on outside his personal experience? During his wanderings, was he informally fighting for the anti-rebel forces prior to his official induction? (I somehow suspect so.) Second, we have the problem of memory in general – many Vietnam vets didn’t do all that well. Third, we have the problem of basic narrative format, “creative non-fiction” and the non-linear structure of the memoir. Imo, this is a fine memoir from a young man who has survived some of the worst behavior humanity has to offer. 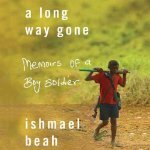 Even so, I think it might be a valuable read because child soldiers are a reality in way too many places and who better to write the story than someone who has lived it? So I’m glad to read it although I have a horror of horror (war and other things). In the audio version, Beah reads his own material and that’s not usually a good idea and although Beah does read well, his accent occasionally interferes with comprehension. It’s good though – quite good. 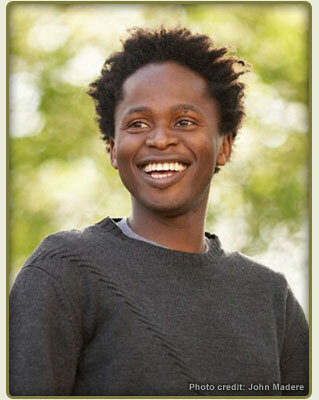 The “plot;” In 1993, Ishmael Beah, then age 12, and his friends were scared when a Civil War was started in their homeland of Sierra Leone. The rebel forces were joined by troops from Charles Taylor’s Liberian Civil War. The boys’ town was attacked and his family separated, later killed. The rebels are presented as being really horrendously violent. He and his friends run away from their homes in Mogbwemo, Sierra Leone, after it’s raided and although he says they try to stay out of the violence they have to fight hunger and loneliness in the jungle. They stick together for safety although groups of boys of his age are very frightening to local villagers. They are “captured” and let go, fed and set free, over and over. They have to keep moving. The boys wander for a long time. Eventually, Beah is captured by the government forces, trained and forced to enter the fighting in large part out of revenge. At least this way they had regular food – but they were also fed drugs. When they are involved in actual fighting the toll is high – Beah has to leave friends as well as enemies dead in the field, taking all the weapons and jewelry. The toll on his mental and physical health is great. A group of boys in his unit were rescued by the UNICEF group in Sierra Leone, but violence continued into the rehab units where rebel boys were also being rescued. Recovery was a long tormented process and who knows what Beah remembers accurately. Esther his nurse is evidence of what good nursing can accomplish. All of the staff were patient beyond belief but she stood out. It’s when when the trip to the UN starts that the reading gets excellent – from his uncle’s response to the snowflakes to the friendships – wonderful. Beah went back home for awhile but he was either going to go back to the war or return to the US. The rest is ending I guess – although getting back out of Sierra Leone has some exciting moments. 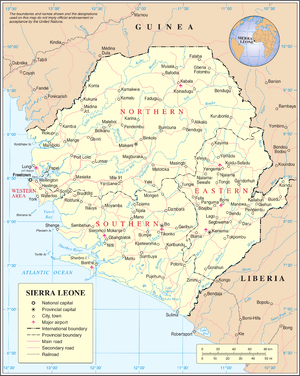 The Civil War has been over for a long time and now Sierra Leone is faced with the Ebola crisis. Whew – Just out of curiosity I poked around to see if Beah had anything to say about that – Yes – in the Washington Post of 9/19 “The West ignores the stories of Africans in the middle of the Ebola outbreak.” by Ishmael Beah.